Are you wondering about door installation 20745 service providers in Forest Heights, MD? You may not notice, but the entrance doors to your office or house disclose a lot in regards to what lies ahead beyond those doors. If your front doors are ugly and out-of-date, what message would you think is represented to the neighborhood with regards to your residence or office? Sometimes, it’s a necessity to replace these older doors or even complete routine upkeep. King Door and Lock delivers certified Prince George’s County door installation services for residents and business owners in Forest Heights, Maryland with professional and courteous service, honest pricing, and 24/7 door services. Our company is a local, honest business that takes pride in providing outstanding services to residents of Forest Heights. Our techs are highly skilled and experienced, and we are dedicated to the repair and installation of garage, residential, and commercial doors. The benefits to install a new front door in Forest Heights are countless. Possibly your front door is weathered and has seen better times? Or it could be that you happen to be renovating and need a new entry door to fit your newly modeled home or office. In other cases, your door may simple need frequent maintenance service for example door jamb repair, door frame repair, and door hinge repair. Customers usually inquire about repair or replacement of interior doors for reasons like wear-and-tear or door hardware that needs to be replaced. Luckily, regardless of if the doors to your home or office require repairs or a whole upgrade, King Door and Lock Maryland and DC has your home, office, and garage door installation and repair requirements covered. 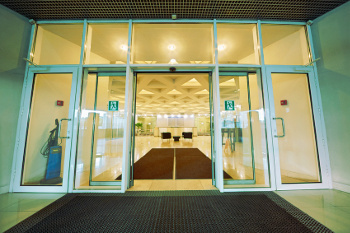 Our company specializes in the installation and repair of office doors including: storefront door installation, automatic doors, and installation of fire-rated doors.If you own a business, then it is important to maintain the doors to your office. This includes both the internal and external doors. It is important to keep the customers that open and shut your workplace’s entry doors protected. Each time a door is not working correctly, notably an automatically closing/opening door, it may possibly cause an unfortunate injury. Furthermore, if the doors to your office are not functional, this may impact electricity bills as well. Your home’s or business’ garage has a couple of important jobs. This is where you probably park your car(s) or the place where you store personal belongings. It’s also an access point to your home, meaning if the overhead door to your residence is not working correctly it could be open to a thief or worse. Furthermore, if the garage door to your property breaks as a result of defective motor or sensor when you’re on your way to work, you might be not capable of exiting the garage. It might also result in serious injury. To prevent unexpected garage door issues that occur at the most inconvenient times, King Door and Lock’s technicians work 24 hours a day to offer emergency garage door repair service in the 20745 region of Forest Heights, MD. We can easily also make routine service calls to examine your garage door and make certain that the components and locks are functional. Nothing seems more irritating than having a door that will not correctly open or close and this can occasionally pose a security concern, particularly when it involves the sliding glass doors of your house and front door replacement. 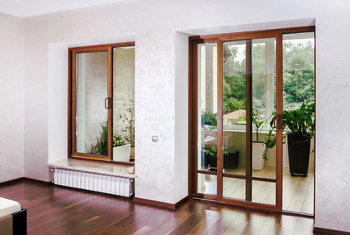 Should your house’s patio doors no longer fully close, anyone could enter. This is a security threat. Luckily, 20745 property owners are able to trust King Door and Lock Maryland and DC to fix damaged balcony doors in Forest Heights, MD. Have a garage, home, or commercial door that needs to be fixed? Our technicians will let you know whether or not it’s more worthwhile and economical to repair the door or completely replace it to avoid further door troubles later on. With honest, upfront prices, experienced techs, and a friendly staff, you can expect services that will surpass your expectations. Give King Door and Lock a call for a free estimate and to learn more about our door installation 20745 services! Irrespective of your door service needs, we’ve got them taken care of. Furthermore, as we’re local to the 20745 area, we pride ourselves on superior customer service and offering professional services. Call us immediately in case you are interested in replacing the doors to your home or office, or if your doors are in need of upkeep or repairs. Door Installation 20745 Company in Forest Heights, MD https://kingdoorandlock.com/maryland-door-installation/prince-georges-county/forest-heights/20745-md/ 4.0/5 based upon 26 reviews.